The term midwife reflects a philosophy of care that is directed toward women and their individual reproductive needs. A midwife usually offers a variety of options and seeks to eliminate or minimize unnecessary interventions. This philosophy is represented by the Midwives Model of Care. The Midwives Model of Care is based on the belief that pregnancy and birth are normal life processes. A midwife is a health care professional who provides an array of health care services for women including gynecological examinations, contraceptive counseling, prescriptions, and labor and delivery care. Providing expert care during labor and delivery, and after birth is a specialty that makes midwives unique. These services include annual gynecological exams, family planning and preconception care, prenatal care, labor and delivery support, newborn care, and menopausal management. Midwives generally provide reproductive education in fertility, nutrition, exercise, contraception, pregnancy health, breastfeeding, and quality infant care. 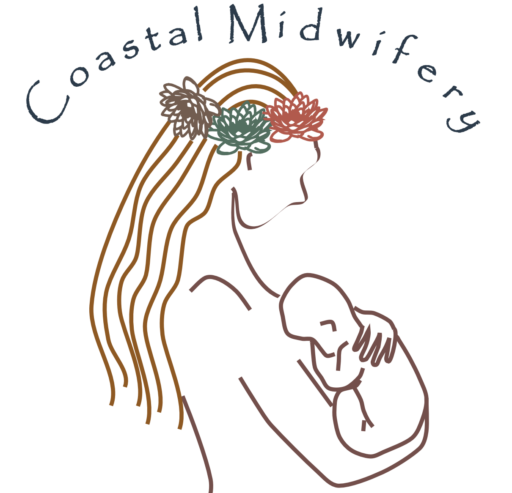 Midwives often function as both a quality and economical option for birthing care. Midwives are qualified health care providers who receive comprehensive training and must pass an examination to become certified. Certification is offered by the American College of Nurse Midwives (ACNM) and the North American Registry of Midwives (NARM). Lay Midwife: an individual who is not certified or licensed as a midwife but has received informal training through self-study or apprenticeship. Midwives believe in facilitating a natural childbirth as much as possible. Accordingly, it is common to receive care from a midwife in a private and comfortable birthing center or in your own home. Because of their professionalism and expertise, midwives are often part of a labor and delivery team associated with a local hospital. You can choose to use the services of a midwife whether you elect to give birth at home, a birthing center, or at a hospital. One of the main reasons women decide to use a midwife is to experience childbirth as naturally as possible. An additional benefit of having a midwife is their various payment options. Midwives often offer payment plans and sliding fees, and are willing to accept most insurance plans including Medicaid. There are cases in which either the mother or the baby will require medical interventions that are outside the scope of services offered by a midwife. Midwives routinely consult with obstetricians, perinatologists, and other healthcare professionals, and will refer women to appropriate medical professionals if complications arise. If a woman has a high-risk pregnancy and/or if complications are anticipated, it is recommended to choose a hospital setting with more convenient access to obstetricians, perinatologists, and other professionals trained to address complications affecting either the mother or baby.